An Afghan citizen has been granted asylum in the UK because he is an atheist, in what is being seen as a landmark case. 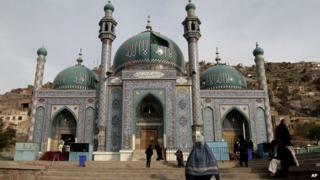 The BBC's Dawood Azami explains why religion is a very sensitive issue in Afghanistan's conservative and traditional society. Afghans in general take pride in being true Muslims who have made great sacrifices for their faith and who have served it more than any other nation in the region. Historically, the area that later came to be known as Afghanistan was the power centre of several Muslim empires in the region. Afghans point to examples in history such as the Third Battle of Panipat (India) in 1761 when the Afghan King Ahmed Shah Abdali assisted Muslim rulers in India to defeat the forces of the Maratha Empire, and the three wars with the British Empire in which Afghans successfully defended their country. They also take pride in the fact that they have never been colonised while other Muslim nations in Asia and Africa were colonies for centuries. And, of course, the war against the Soviets in the 1980s contributed to the collapse of the Soviet Union and the emergence of several Muslim countries in Central Asia. Afghans believe they have served Islam off the battlefield too, with Afghan Sufi mystics, scholars and preachers going to other countries where they promoted Islam. Conversions from Islam have been extremely rare in the country's history. More than a century ago, an English Christian missionary and doctor, Theodore Pennell (1867-1912), wrote about an Afghan from eastern Laghman province whom he converted while he was admitted to his hospital near Peshawar. But the young man had to leave his country fearing for his life. However, non-Muslims, especially Hindus and Sikhs, have been living peacefully in Afghanistan for centuries. In recent times, people have been inspired by different belief systems and ideologies including communism. For those who were born Muslim, it might be possible to live in Afghan society if one does not practise Islam or even becomes an "apostate" or a "convert". They are safe as long as they keep quiet about it. The danger comes when it is made public that a Muslim has stopped believing in the principles of Islam. There is no compassion for Muslims who "betray their faith" by converting to other religions or who simply stop believing in one God and the Prophet Muhammad. And, in most cases, the family itself disowns a person who becomes an apostate. Conversion, or apostasy, is also a crime under Afghanistan's Islamic law and is punishable by death. In some instances, people may even take matters into their own hands and beat an apostate to death without the case going to court. In 2006, an Afghan, Abdul Rahman, who announced his conversion to Christianity escaped a possible death sentence. But he was released and was offered asylum in Italy. Another Afghan, Pervez Kambaksh, was sentenced to death in 2007 for "blasphemy and distribution of texts defamatory of Islam". But the appeal court commuted the sentence to 20 years' imprisonment before President Hamid Karzai granted him amnesty and he left the country. Some observers suspect that such claims are made by people who are desperate to make their asylum cases stronger. But belief is a secret. Who knows what is going on in someone's mind?